I’m getting ready to move to Toronto on Thursday but this doesn’t stop me from doing a quick sketch of a cute girl. 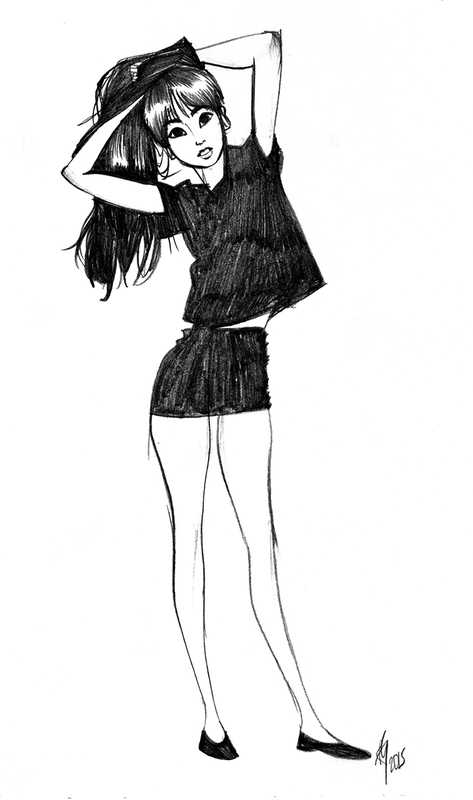 I use American Apparel ads and models as ref a lot. I like to just sketch something for no one and it only take me a few minutes to do so…will add some colour to her once I am there.